Imagine a baby is due soon. The joy is overwhelming. And you can’t hold those mommy cheery back. You want the whole world to know that those nine months weren’t in vain. 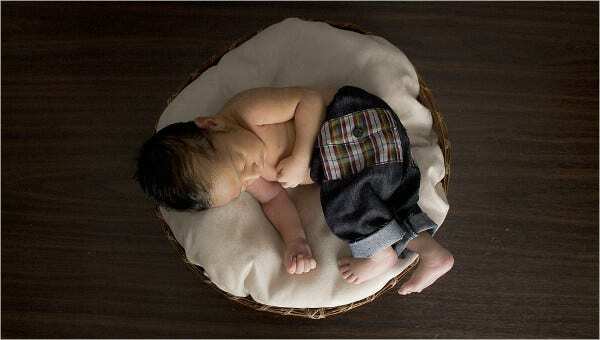 So, why not get you friends and family members coming along for blast fun by inviting them for the baby shower party. 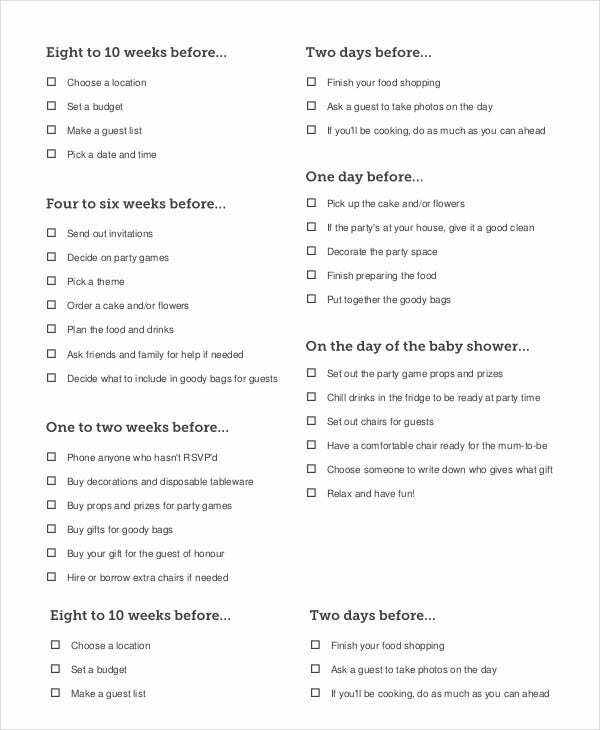 But first, you must do one thing: you must have a baby shower planner in place. This you can create using any of the following sample templates. Use this planner if you don’t have enough time to create your own. Of course, the file is print ready, so you should just go ahead and use it for the preparation of the baby showers event. 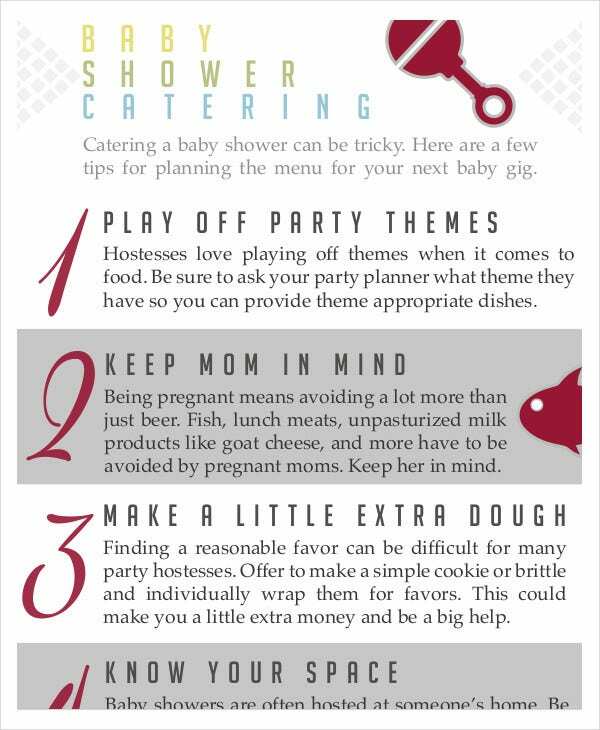 Do you intend to ask friends to come to your baby shower event? If yes, then you should have a good plan for the event before the D-Day comes. Here is the sample template to use. 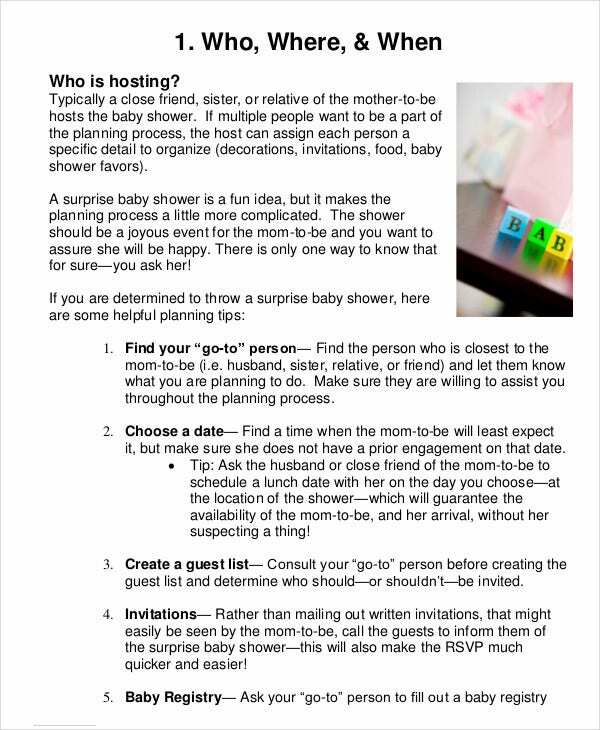 > Why You Should Use A Baby Shower Planner? It is important to remember that planning is the single most valuable step to take if you are serious about making your event successful. As such, before the actual event goes down, make sure you are making necessary preparations for the D-Day. So, why should be using these sample files? 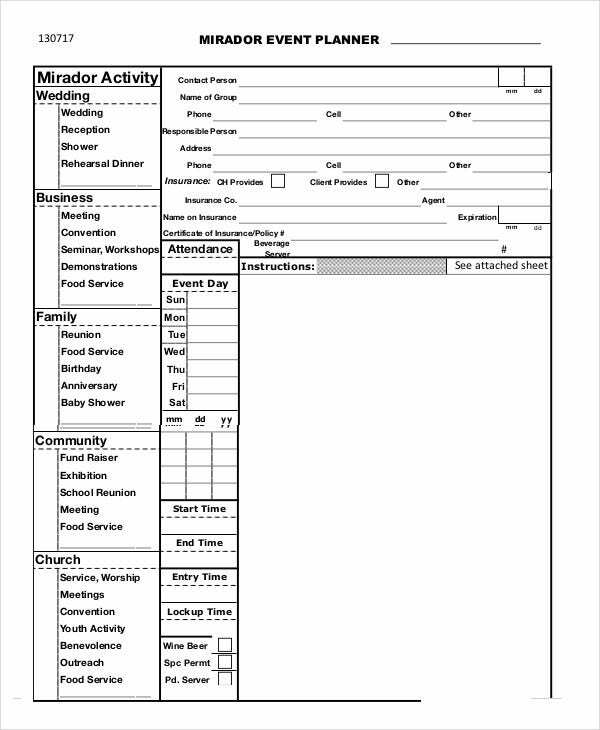 The template will help you plan the event from start to finish. This will help you eliminate the unnecessary guesswork that many mothers often have- to make the event succeed. You end up spending money only on what is necessary. Baby shower parties are usually the best ones. Friends come by and celebrate the newborn. 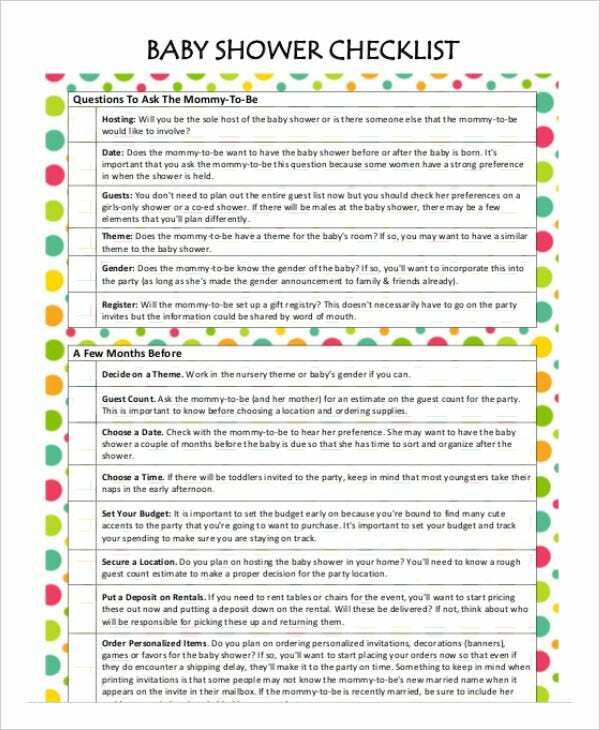 To make sure the party goes down well, you should use the party planner for a baby shower. 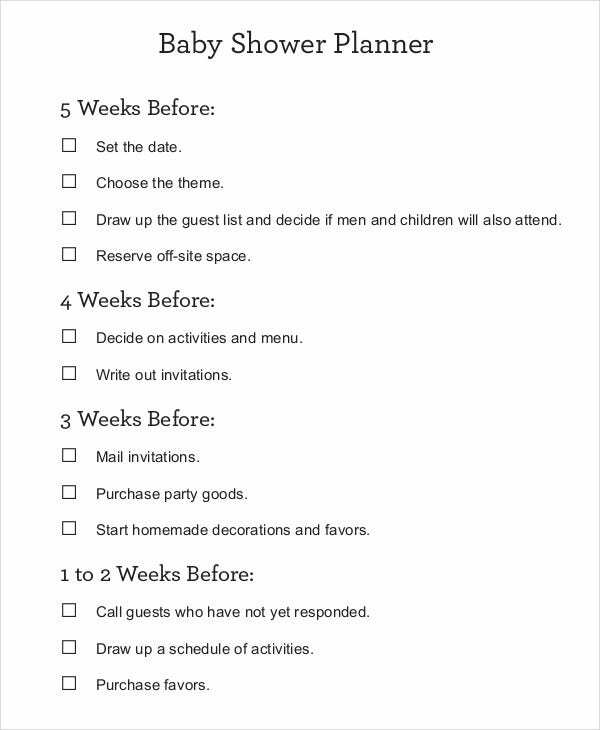 A planner with a checklist is a good template because it can help you to do more than just a plan for the baby shower event. 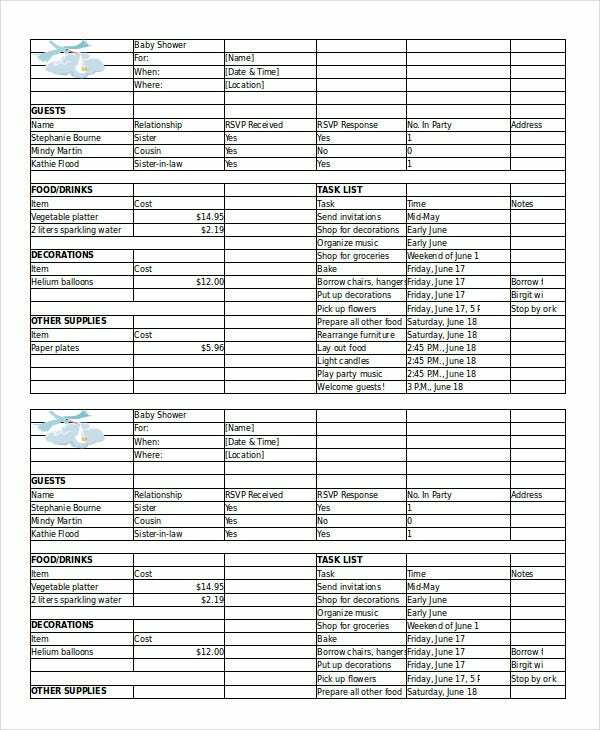 It also helps you to create a list of the items that you will need to make the event a success. Are you going to provide meals to family members and friends who come to the party? Then you should have a catering plan. 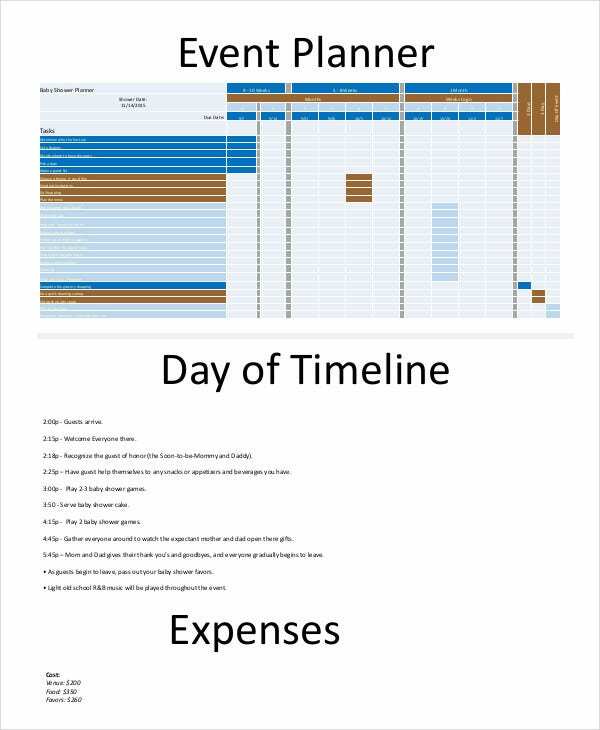 Here is the sample template that you can use to make the plan. Mothers who want to plan their baby shower event can now relax because they do not have to create the sample templates from scratch. If you are one of them, all you have to do is download any of the templates presented to you in this thread and use it to make the necessary plans for your baby shower party. The plan templates are ready for print. That means you do not need to spend a lot of your time making changes to the design, as that is unnecessary. All you have to do is download the sample template, and then get down to planning. 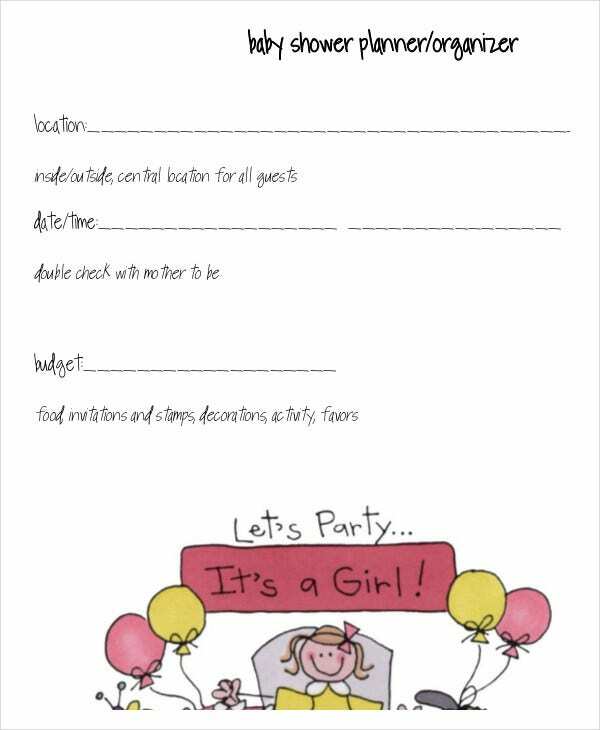 The best part about a baby shower planner is that it always enables you to spend right, making it possible for you to organize a good party for your guests. Of course, this is always a one-time event. So make sure you make the best preparations.